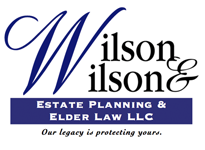 Wilson & Wilson Estate Planning & Elder Law LLC were established in 1983 by James T. Wilson (now deceased) and his son, William S. Wilson. Both are graduates of Northwestern University School of Law in the classes of 1949 and 1983, respectively. Bill Wilson has practiced for more than 30 years concentrating in the areas of Estate Planning, Estate Planning and Special Needs Trusts for families with disabled children, Probate, and advising profit/not-for-profit corporations. Founding partner Bill Wilson, associate lawyers and staff of Wilson & Wilson Estate Planning & Elder Law LLC feel a profound obligation to serve their clients through professional and committed legal representation.